Staying healthy over the holidays can be a challenge. The weather outside is cold and we spend most of our day indoors, breathing in recycled air and possible germs. The abundance of alcohol and sugary treats over the holiday season reduces our immune systems, making us more susceptible to illness. The stress and pressure of preparing for New Years events can decrease your health even more – making you a target for flu bugs to colds and much more. However, there are a number of ways that you can keep yourself healthy over the holidays. 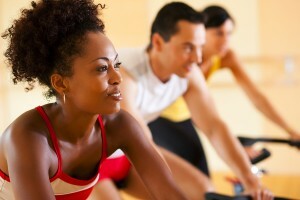 It’s tempting to ditch your workouts and let your days fill up with parties, errands and holiday preparations. However, it is important to keep your exercise routine as much as possible. Staying active will give you more energy, help you deal with added stress, boost your immune system and help you manage your weight during the holiday season. Squeeze in a visit to the gym whenever you can and try to enjoy active holiday activities such as going for a walk in the snow with your family. When staying in your furnished rental in Toronto, you can utilize the gym in the building which is included in your rate, so you dont have to pay extra to work out. The holidays bring with them a number of situations where alcohol is consumed, from a mug of mulled wine to cocktails and drinks at the New Years party. It’s fine to have a few festive drinks, but be careful not to go overboard. When you drink too much it will reduce your immune system function, put a strain on your liver, raise your blood pressure and add a lot of empty calories. Try to alternate your alcoholic drinks with non-alcoholic ones at a party or an event so that you can cut back and stay healthy over the holidays. If you are going to a holiday get-together where you know there will be a lot of sweets, cookies, candies and other unhealthy treats, make sure that you eat a full meal of healthy, nourishing food first. Then, you will be less likely to eat as many unhealthy treats. The holidays can be a stressful time. There are a lot of commitments to friends and family, a lot of events to attend and plan for as well as the financial stress of gifts. You might find yourself being stretched thin and feeling stressed. Make sure that you give yourself time to take a break and recharge. Allow for time for yourself to enjoy activities that reduce stress, such as going for a walk, practicing yoga or listeni ng to some calming music. When the weather outside is frightful, make sure that you keep yourself warm and bundled up. A warm coat is important, as well as a hat and gloves to reduce heat loss through your head and hands where you lose the most heat. Keep these tips in mind so that you can stay healthy and make the most of this holiday season.